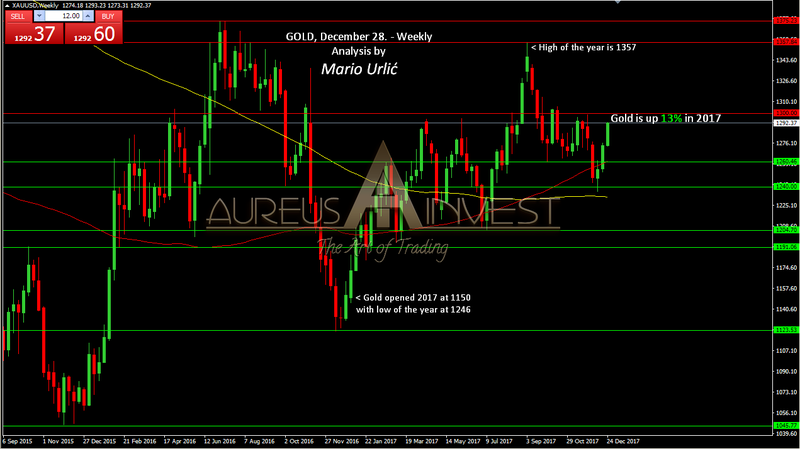 Gold opened 2017 at 1250 and in the same week reached low of the year at 1246. 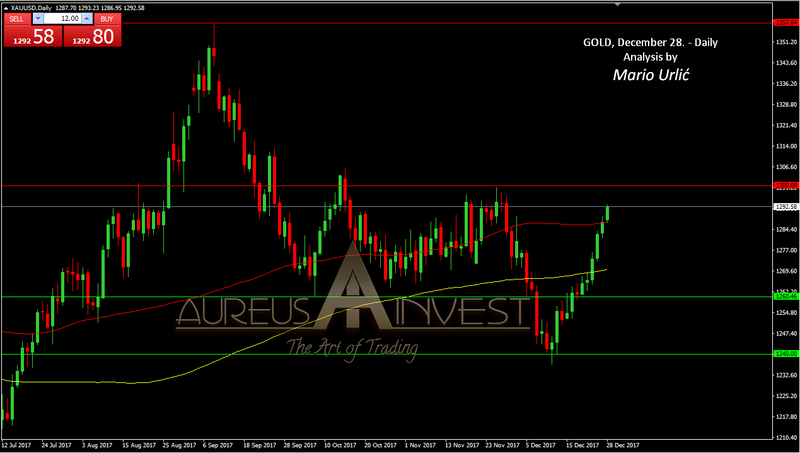 During the middle of the year, 1300 and 1200 was levels of resistance and support, after which gold reached a top of the year at 1357 on September 08. The fall has started returning the precious metal at 1260, with 1300 again as a resistance level. In the beggining of December, the sellers have tried to push the precious metal toward 1200 level, but 1240 was a strong support and point of return on FED’s decision to hike the rate. From that level gold is going up for 3rd week in a row, reaching 1293 today and it seams that it could end the year near 1300. Based on this, the precious metal is up 13% in 2017, which is better year from 2016, in which gold gained ‘only’ 8%. Daily chart shows amaizing strenght in the previous 12 days, in which gold growth was slowed only two times. 1240 support level was crucial for the end of the year, after which the sellers have pulled back from trying to push the precious metal toward 1200. 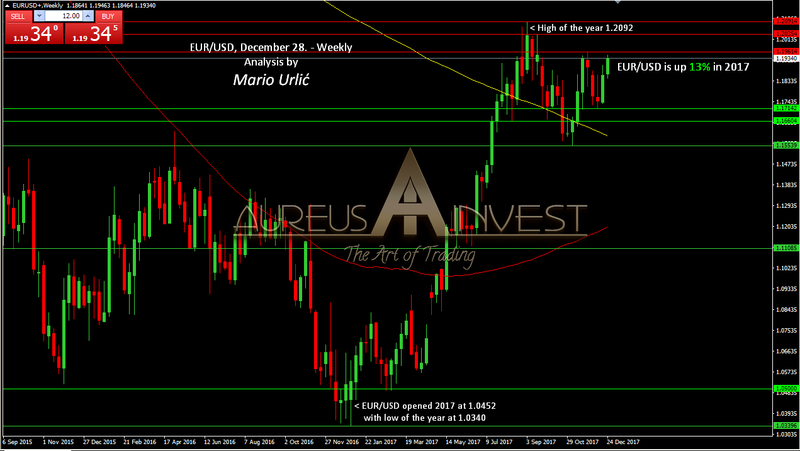 The EUR/USD opened 2017 at 1.0452, with low of the year at 1.0340 at the same week. After buyers have defended that level successfuly, 1.0500 returned as a strong support latter, from which the pair simly flyed to 1.20 level in the comeing weeks. That level was too much for Mr.Draghi and for the ECB and they have done everything that can to lower the euro by the end of the year. As you can see, thay have slightly managed to do that, but the EUR/USD will end the year with 13% gain, near or at the 1.20 despite all the ‘actions’ from the ECB.